I was first introduced to this phrase years ago when I lived with my ex boyfriend and his three children. At the time when I became a major part of their lives, they were a mere 6, 8 and 11 years old and were dealing with the divorce of their parents. I had the fortune of knowing them for years before their father and I were involved so I did not take on the role of “step-monster”. I instead had a solid foundation for a relationship with all of them. But that did not mean the transition was easy for any of us. There were certainly days that I found more frustrating than others, as I’m sure they did as well, and inevitably arguments ensued. It wasn’t until their father and I were having a chat one night over a much-needed glass of wine that he bestowed a little gem on me. He pointed out the glaringly obvious problem – I was trying too hard to win the battles and not every war in that house was going to be won – by anyone. That stunning revelation was a game changer. Pick your battles – such a simple phrase with epic results. It’s hard to take a step backwards and give yourself a “time out” to realize what the audible scrimmage is really about. You have to decide if the fight is worth the effort you are putting forth to win. It could be an argument that, at the end of the day, really has no great effect on the bigger picture but the negative energy from the conflict just may. 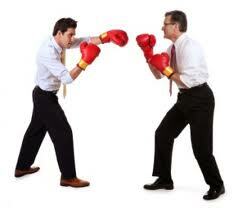 You must go in with a strategy but be willing to change tactics and maneuver away from the barrage of verbal banter. If it’s not a life changing situation, give a little. You’ll spend countless minutes and hours trying to be right when it isn’t going to change the rotation of your world. Sometimes all of the smaller problems can become compounded and the war you face can seem extremely overwhelming. You must learn to choose your crusades wisely. Learn to cloak your emotions until you can see ahead of the problem that burdens your path. The age-old saying “Don’t sweat the small stuff” is the same gift in different wrapping. I have carried this ideal with me throughout the years and it has served me well. Pick your battles – be proud of the scars of war but make sure the ones you earned were worth the fight. Good post! Another phrase I think about sometimes is: “You can be right or you can be alone.” Have you heard that one? I have not heard that one. That is another good one. It was a definite game changer.